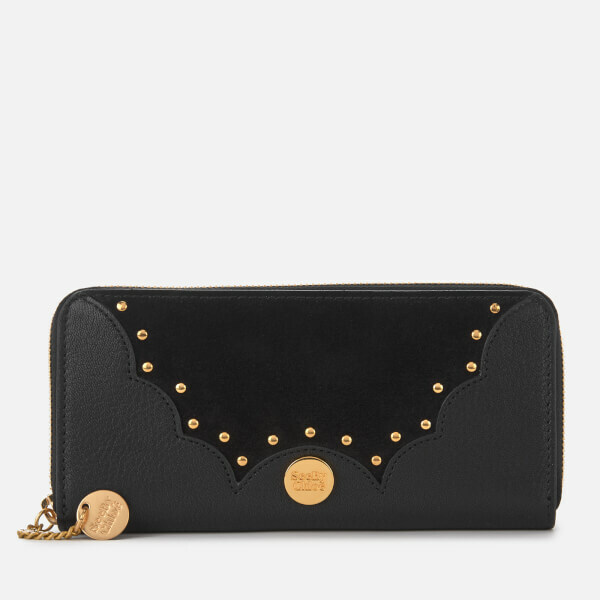 Zip around, leather purse with extended chain zip pull. Triple compartment interior with a central zipped coin pocket. Two notes compartments, a textile slip and eight credit card clots. 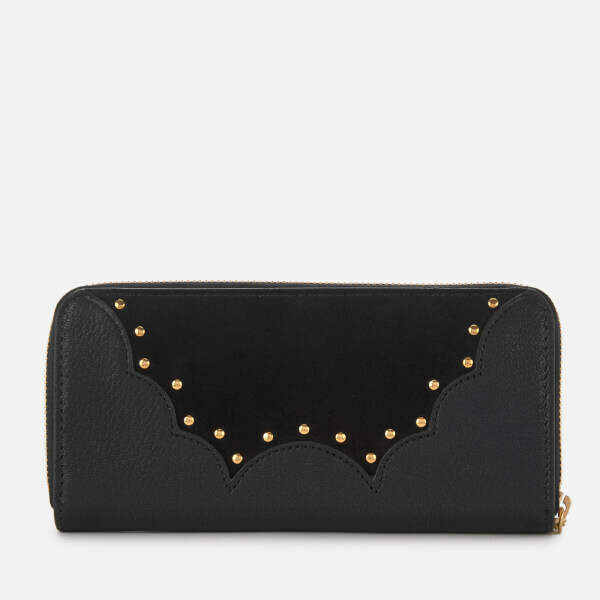 Soft leather facing with gold-tone studs. 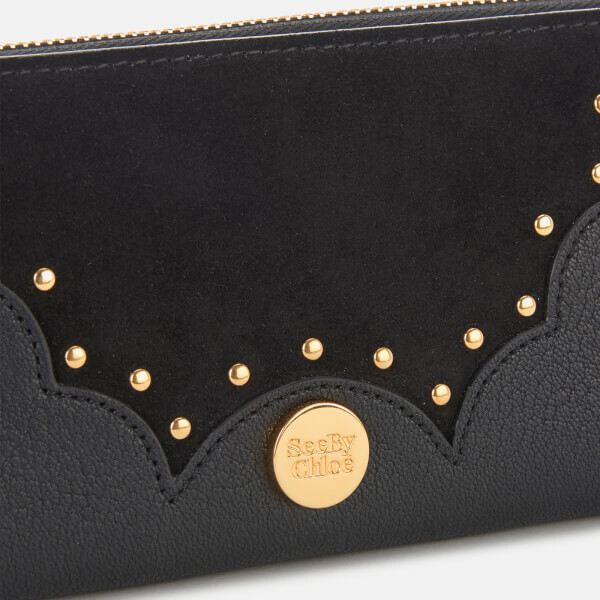 Leather wallet. Front: Goat Leather. Trimming: Cow Leather Split. Lining: Cotton.